Description: This exquisite two tone plated piece features an adorable crystal bird sitting on a tree in an oval frame with channel set crystals. 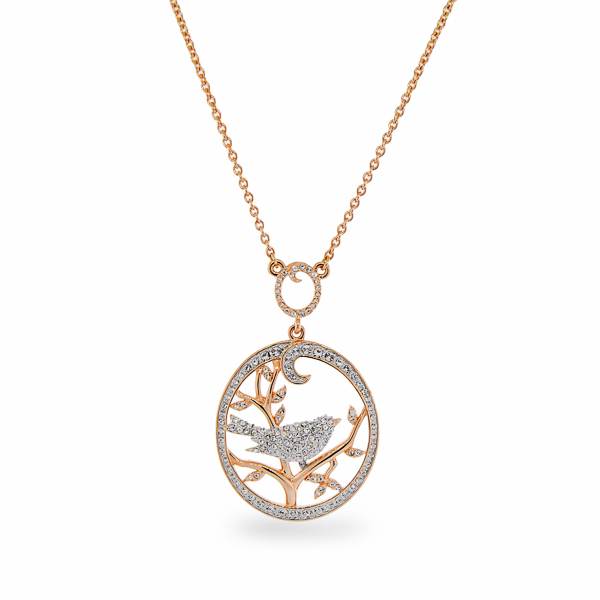 Like the sweet melody of a songbird, this lovely sparkling necklace will inspire happiness in the day. She remind of carefree little creatures that make our world more beautiful. Enter Quantity for N-AE015-RG to add to your shopping cart.